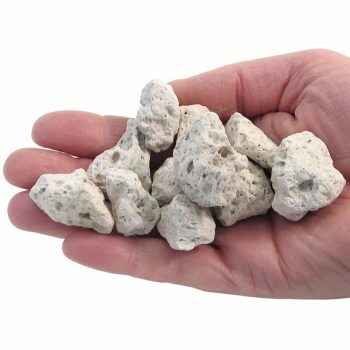 Sets and samples of rocks and minerals give students a "rocking" hands-on experience. 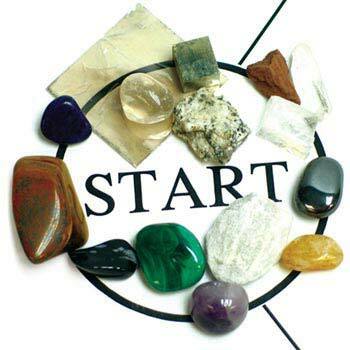 Help identify a mineral by determining its hardness and performing a streak test. Everyone loves to pull apart the layers from a specimen of mica. Don't be fooled by the seemingly normal Sticky Stones; they're magnetic! Show students a chunk of graphite from an old historic mine in New Hampshire. 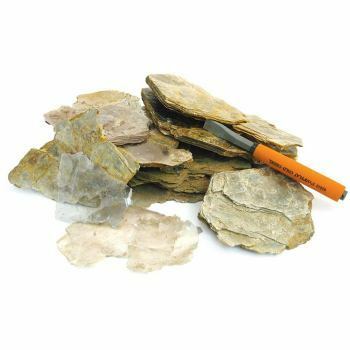 They will be fascinated with the idea of writing with a piece of mineral. 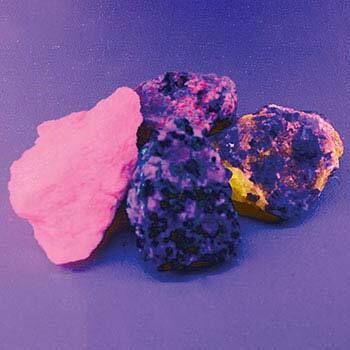 Common fluorescent minerals, sensitive to long-wave ultraviolet (UVA) light, can be made to fluoresce using any of the fluorescent "black lights" we carry. What happens when nearly 1 billion Joules of lighting energy strikes sand? 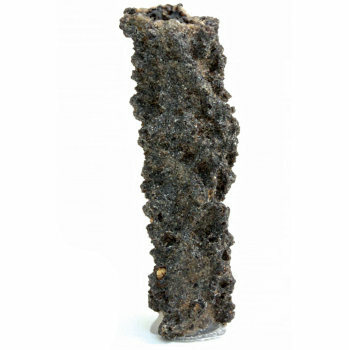 Fulgurite, tubular formations are typical of the result! 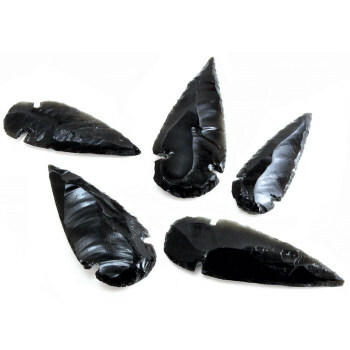 A great demonstration tool when teaching about Native Americans, igneous rocks, or man's early use of tools. 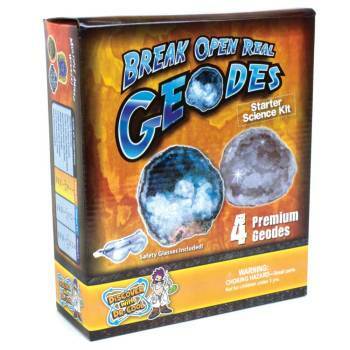 Crack open these real geodes and discover the amazing crystal treasure inside! 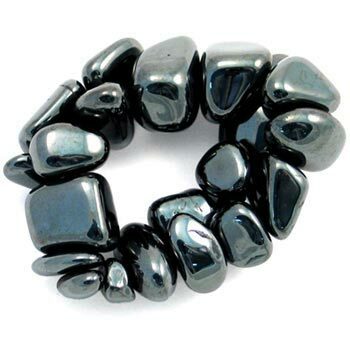 Don't be fooled by these seemingly normal stones; they're magnetic! 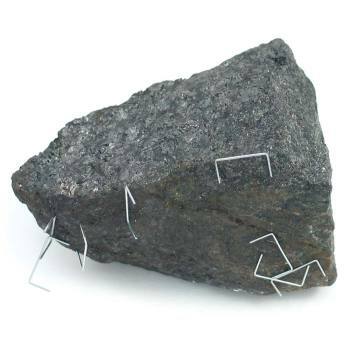 Lodestone is a natural magnet that will attract objects such as staples, iron filings and needles. 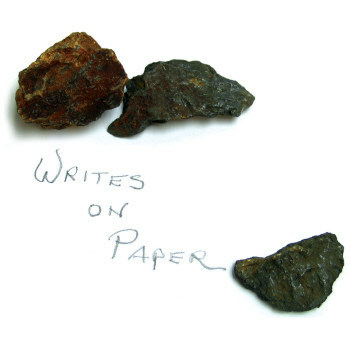 Your students will be fascinated with the idea of writing with a mineral. 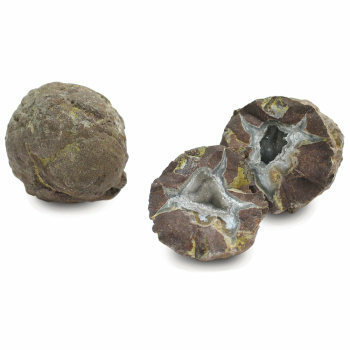 Beautiful 1" to 2" (2.5 cm to 5.0 cm) geodes, cut open and polished. 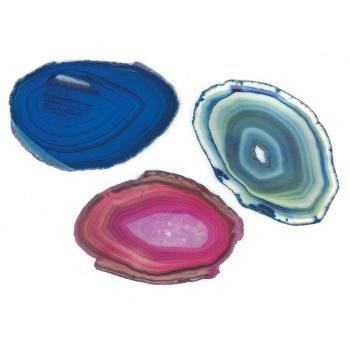 These 1/8 inch thick agate slices are beautifully colored and highly polished. 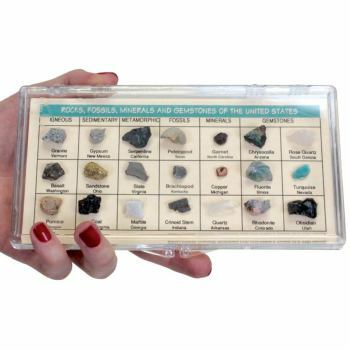 Sort and identify 15 rock and mineral samples. 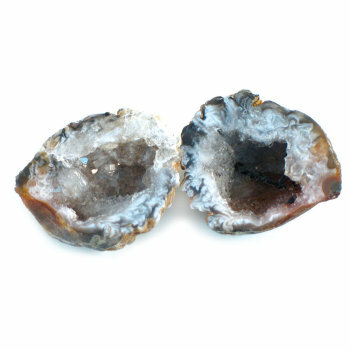 Reveal a variety of crystal formations within these geodes! 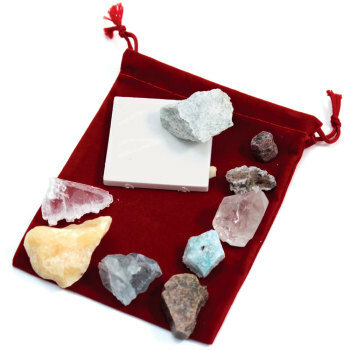 Help identify a mineral by determining its hardness and performing a streak test. What happens when nearly one billion Joules of lighting energy strikes sand? 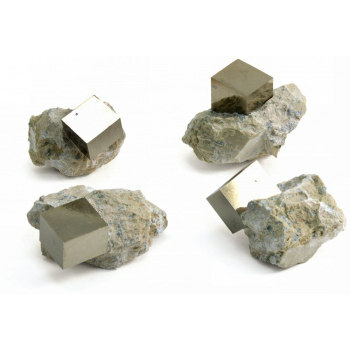 Cubic specimens of FeS2, formed over 100 million years ago by sulfur reacting with iron. 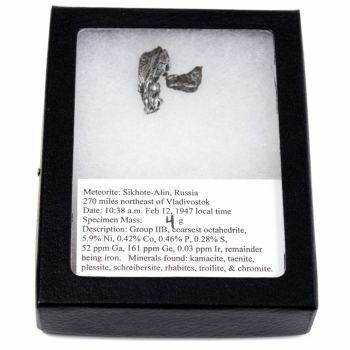 Authentic meteorites from a number of significant falls.